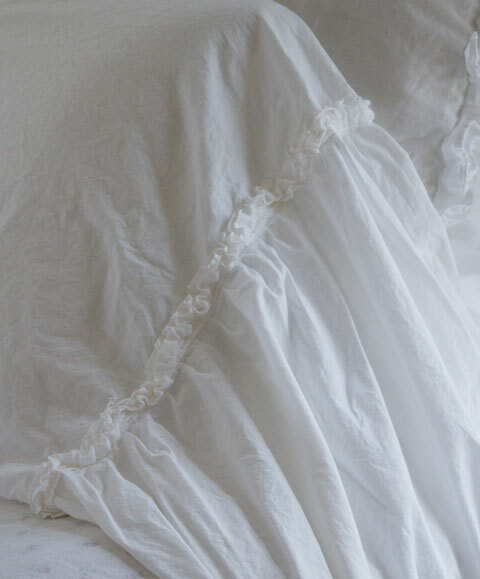 These lovely pair of pillow cases are an Exclusive line to Vintage Rose Collection. 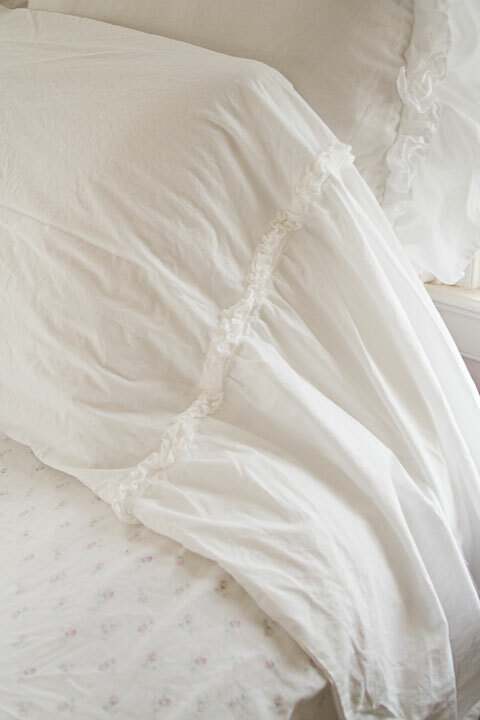 This is made from muslin with a mini ruffle and an 18' over hang that drapes down over the side of the bed. I really love this look, it's classy and sophisticated. 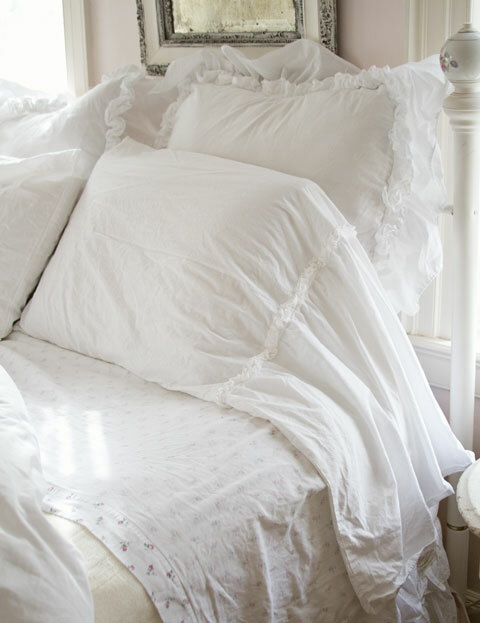 Excellent workmanship on this bedding line, it is all hand-made. This is so feminine and luxuries, you will love love it! 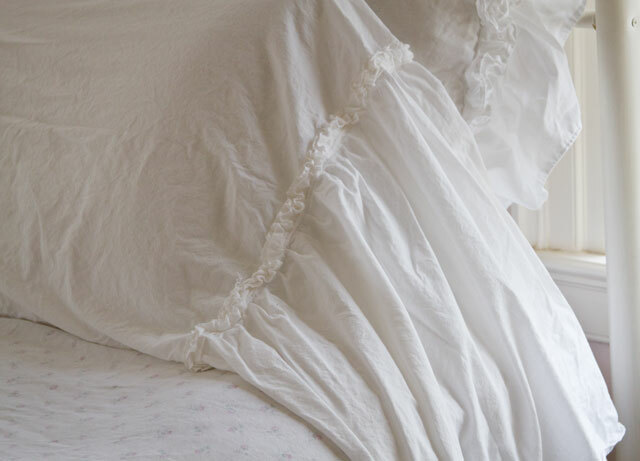 See our pillow shams and duvet that go with this in our Bedding section.